What kind of glass is used in your iPhone (or other smartphone) screen? The glass in most iPhone screens to date, along with that in many other smartphones, is trademarked with the name Gorilla® Glass. This is an alkali-aluminosilicate glass that has been used in over one billion devices! It is lightweight, thin, and resists scratching and cracking significantly better than many other types of everyday glass. 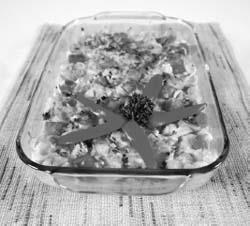 Pyrex® baking dishes are a common sight in many kitchens. The material is a soda-lime glass that is resistant to breaking and cracking.